England is proud to announce the arrival of it's new KV2 ES system and ESM monitors. 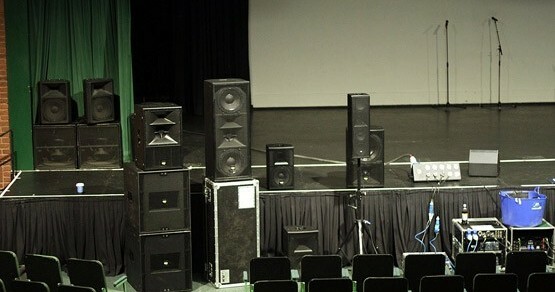 As of now we will be able to supply that 'KV2 sound' for events and dry hire. If you haven't heard KV2 speakers you've been missing out. Recently we have been asked why we went with KV2 and every time we answer with the story of when we first heard them. At the 2014 ABBT show we had a chance run in with the guys from KV2 and after a quick chat we were intrigued by the brand as we knew so little about them. After a few emails we booked in a demo to feed our curiosity. We wanted an accurate demo so we got our friends at Farneham Hall to let us use the space for the day. When KV2 arrived they had a great range of speaker sizes and a very modest set up of just a pre-amp and a CD player. Our first demo was a little 6 inch sub driver speaker (ESD6) which looked suited to a lot of install applications. On firing up the speaker our initial reaction was they have crossed some wires and sent audio to one of the other speakers to demo. After shifting slightly to assess the location of the sound we were surprised to find that the little ESD6 was the source. You could have fooled us in a blind test and told us it was a speaker twice its size. However this was not the only stand out quality of the speaker it had what we now call that 'KV2 sound' : tight bass and super accurate mid and top frequency response. At this point just listening to this little gem of a speaker we were sold. Another stand out product was the ESM monitors for its KV2 sound and its almost magical quality not to feedback. We tested this to the max when we naively mic'ed up a singer with a standard omni directional lavalier mic to see what happened when we fired sound at them in close proximity. With a modest amount of level there was no feedback at 3 meters. No eq and no processing. In a word it was 'stunning' what the speaker was capable of. 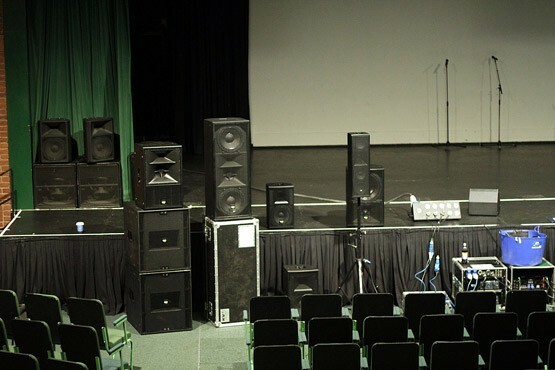 Our last demo was the KV2 ES system; a modular sound system for events and hire exactly what we were looking for. Again that KV2 sound but it could go to 11 if you needed to melt the audience's face off. Firstly they are pro definition and clarity which they believe is only possible with single point source speaker systems so you wont see line arrays in their product range which every one else makes. Secondly they truly care about the signal path in their products. To the extent that they created their own standard for converting analogue signals to digital ('super digital'). Their standard for what audio products should be able to achieve truly make them unique from every one else on the market. Overall we loved the concepts and beliefs that KV2 put in to their products and it shows in the sound.If you like to experience that KV2 sound for your self get in contact with us to arrange a demo. We also have some great offers on dry hire! KV2 Audio ESM12 Monitors - ESM12 speakers come with top hats so also great as front of house. KV2 Audio Event package - ES system and 4 ESM12 Monitors with all amplifiers and cables.